Tarpanam rituals work miracles in your life! This is the most critical ritual one can perform for any departed friend or relative. The impact ancestors have on your life is profound. Not even Gods can do for you what your ancestors can do. In fact the Gods ask you to go through your ancestors (to get what you want). Participate in the 1 year of Daily Tarpanam Package, which will help you receive the blessings of the ancestors. 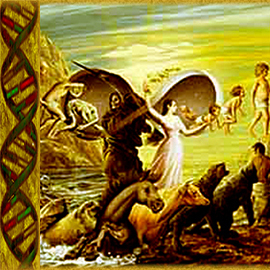 Your dead ancestors are governing your destiny and performing Tarpanam will appease them. Tarpanam means food offering for the ancestors. During the New Moon day, these departed spirits come to the earth plane at dawn and leaves during sunset. They do in fact hang out with you or with your brother or sister or any other relative. The Siddhas reveal that even your enemies in your current life, are your reincarnated ancestors for whom you did not Tarpanam.